Big Boho earrings in blue and purple. Brass charms with a 8 widdershins spirals dance around a center sun motif. I used several different chemical patinas to achieve a rustic blue green patina finish. 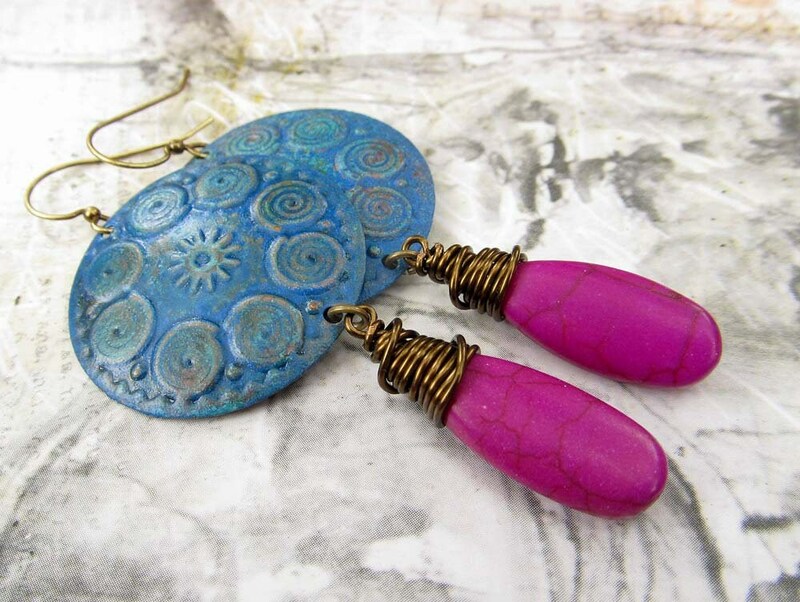 A large teardrop stone of dyed fuchsia purple magnesite has been given a wild antiqued brass wire wrap. Looks like the photo. Seems to be of good quality. Packaging was great.